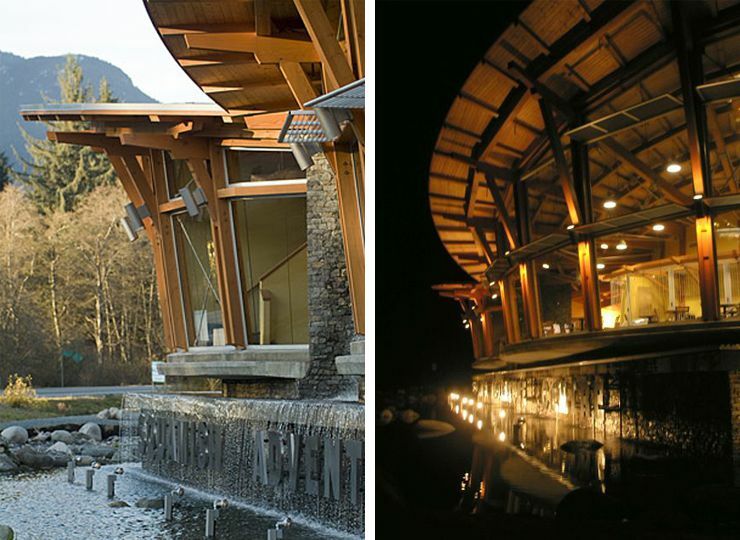 A joint venture of Dennis Maguire Architect and Richard Iredale of the Iredale Group Architecture in 2005. 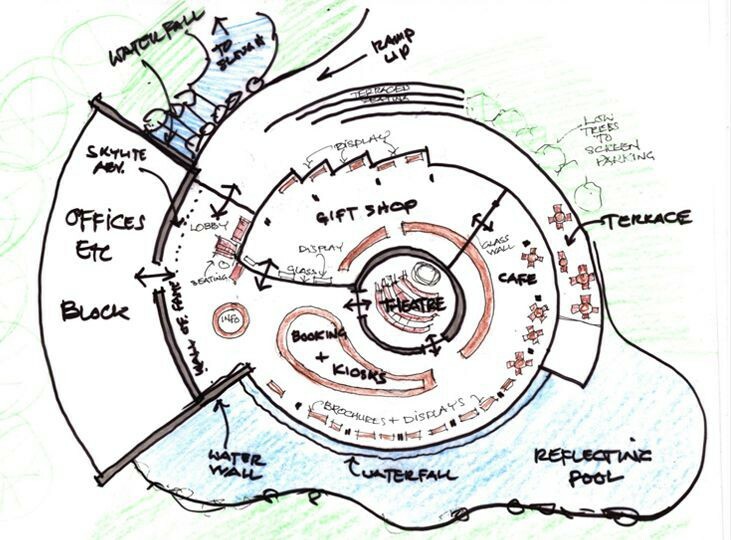 Dennis Maguire’s involvement was mainly conceptual and design development, Richard Iredale was the architect of record. 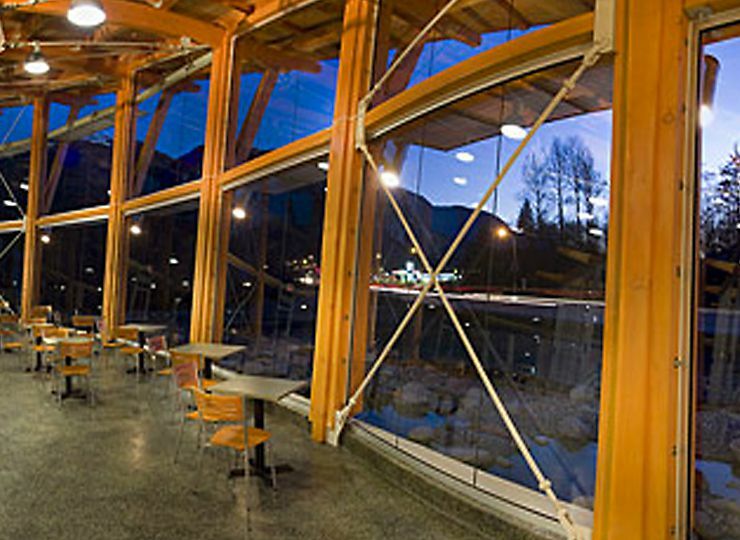 Designed to attract Whistler and Interior bound traffic to explore Squamish tourism. 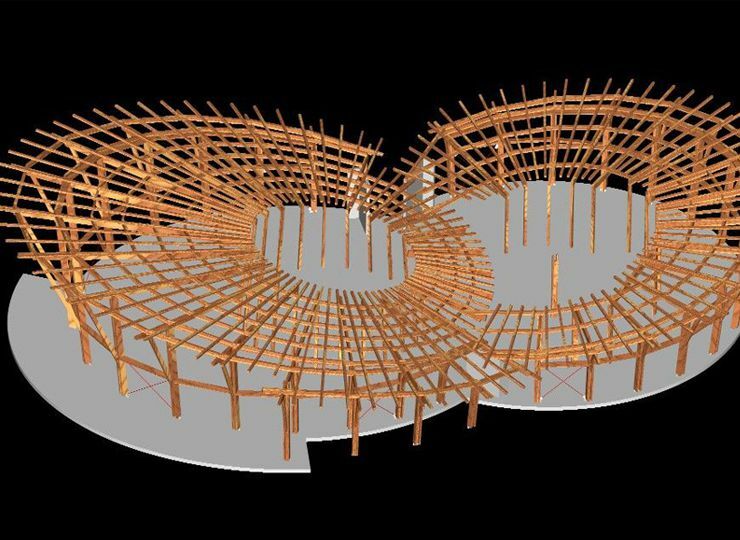 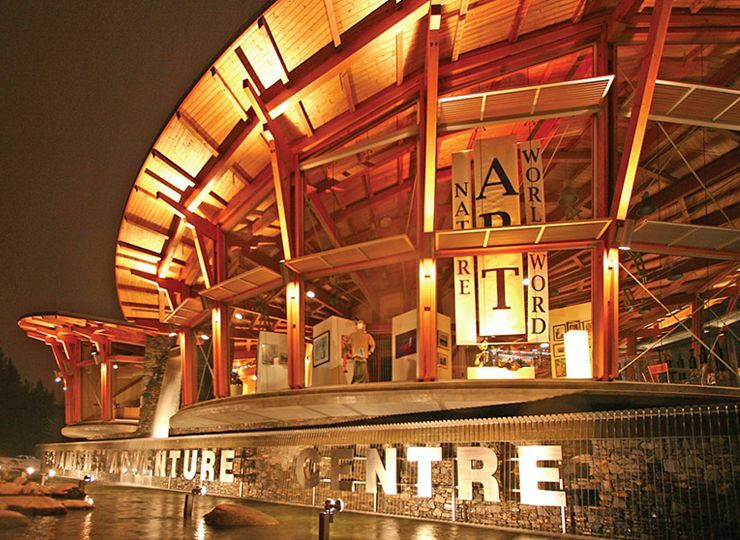 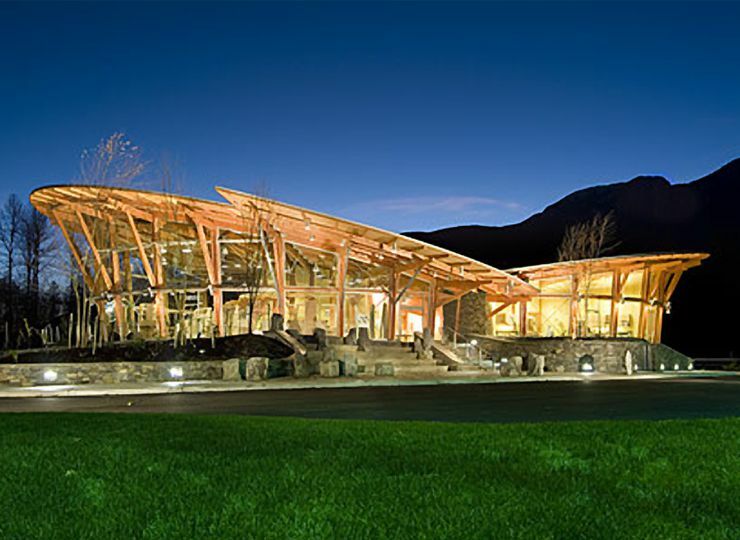 Also serves as a bus stop, contains a gift shop, restaurant and lecture hall with animated displays of local artifacts. 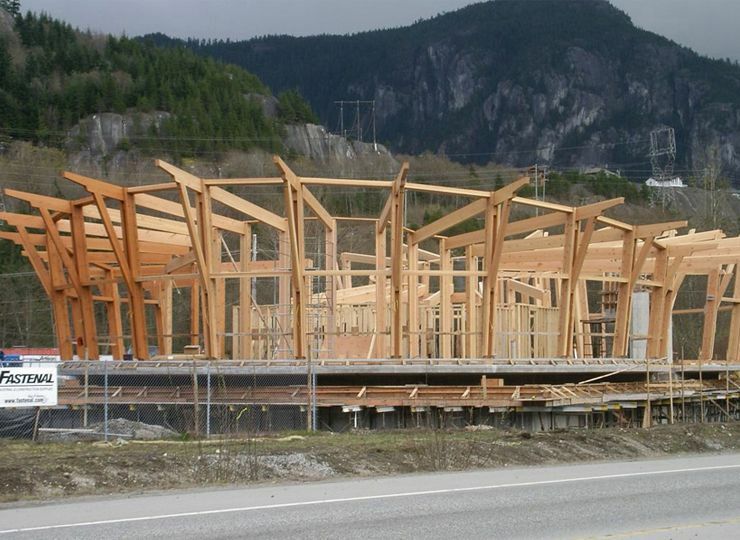 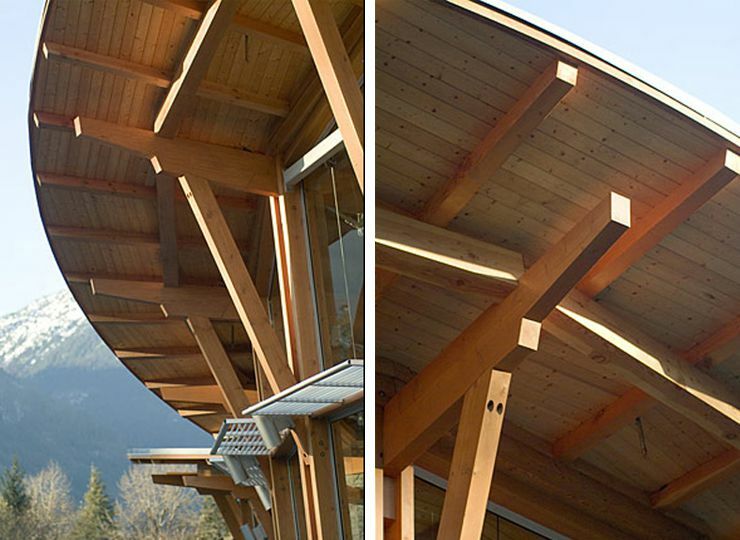 This has proven to be a popular and successful government sponsored building that was meant to help Squamish diversify from a declining lumber industry. 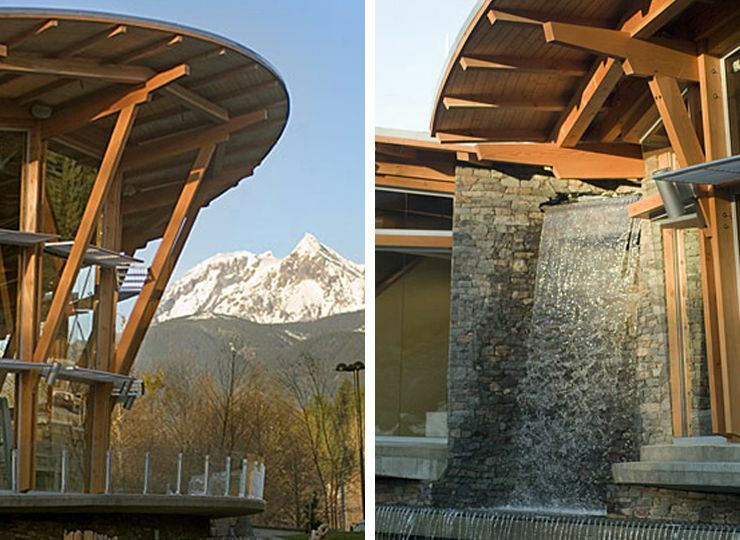 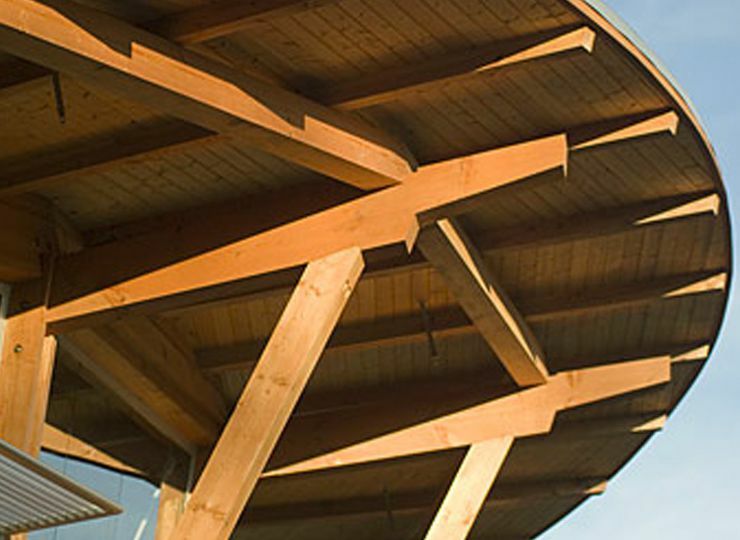 Winner of Wood Council design award in 2006. 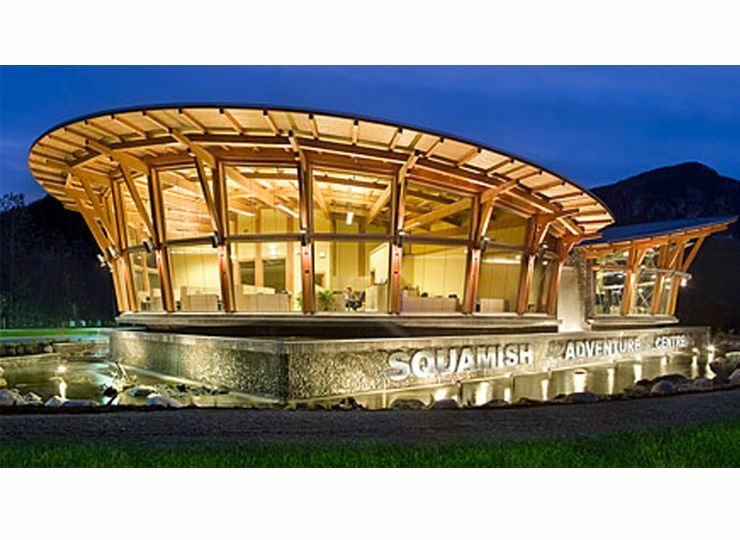 Click Squamish Adventure Centre to see more photos.